This bit of Atlanta history is a departure from my usual blog posts about movies, politics or science. Ever wonder what's at the base of the broadcast tower that looms over Freedom Parkway near the Carter Center? Well wonder no more. 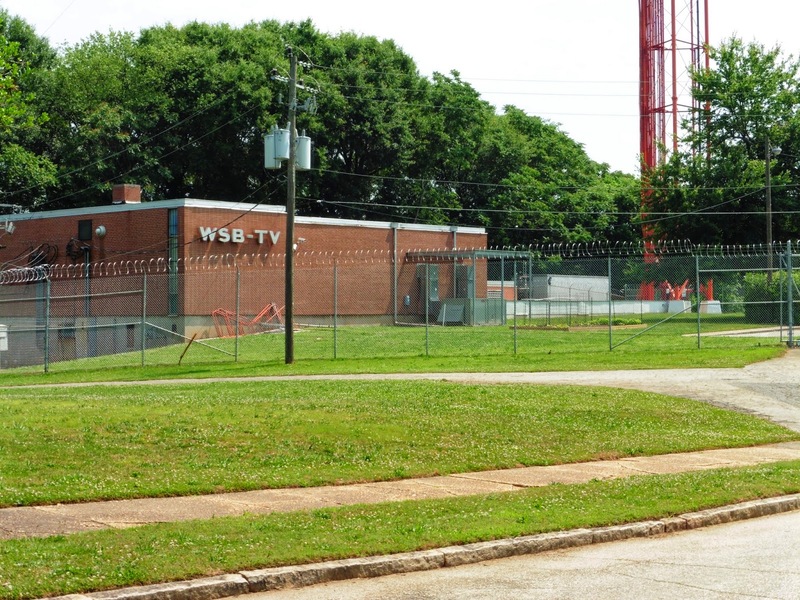 Many Atlanta residents who arrived here in the last twenty years or so may not be aware of the critical role that the WSB-TV Tower played in keeping a stretch of interstate highway from taking over the land that The Path and Freedom Park occupy today. Original plans had called for the complex that includes the Jimmy Carter Library and Museum and the Carter Center (completed in 1986) to connect with the rest of Atlanta by an interstate spur, in part elevated, which was to run to the downtown connector in one direction and to Ponce de Leon Avenue near its intersection with Clifton Road in the other. Opposition to the project was fierce - the powers that be wanted to put a freeway through a white neighborhood for a change - but supporters of the Ex-Pres-way, as it came to be called, included both President Carter and his one-time UN-ambassador, Andrew Young, who had served a term as mayor of Atlanta after leaving the Carter administration and was a force in local politics to be reckoned with. After several years of protests and legal challenges, the tide seemed to be turning in favor of the interstate proponents. 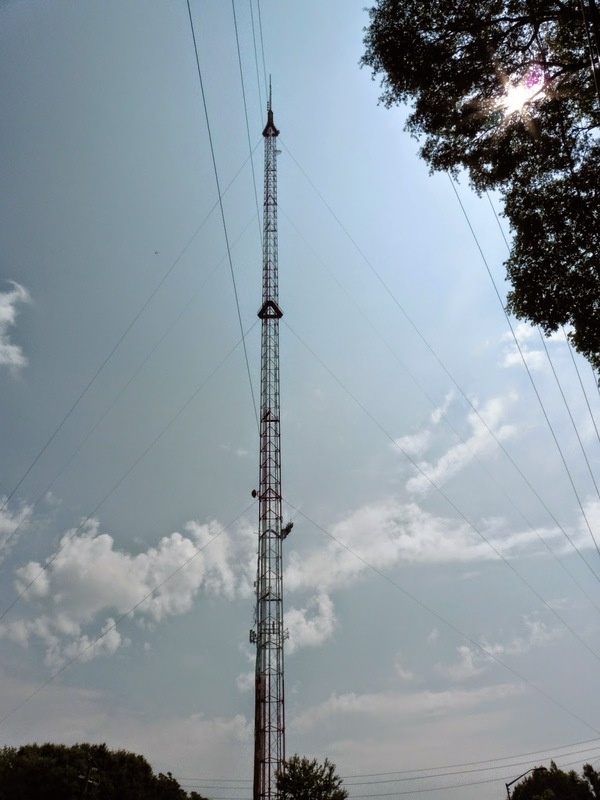 Then it occurred to some clever adversary that the guy wires from the WSB-TV broadcast tower would cross over the proposed roadway and that any ice falling from them as a result of winter storms would pose a hazard to the traffic passing below. Addressing this problem frustrated progress on the interstate plan, adding another considerable delay. By the early 1990s most of the legal obstacles to the original project had been cleared, but its backers realized that time was running short if the city was to be fully prepared to handle the crowds expected for the 1996 Olympic Games. So, believing that any sort of road was better than none, they relented and agreed to an alternate plan, the shorter, street-grade parkway that, along with The Path and Freedom Park, we use and enjoy today. The seemingly pointless tunnel that bestrides the parkway just south of the Carter Center stands as a reminder of this, the best-known of Atlanta's "freeway revolts," and as an ever-present defender against winter ice falling from the guy wires of the WSB-TV Tower above.